Our Company | Land Surveyors | Civil Engineers | Demarc Inc. In 1962, from the basement of his Twin Cities home, Raymond Prasch cofounded Lot Surveys Company, Inc. He attended Dunwoody Institute in Minneapolis to earn his Registered Land Surveying license. He was successful and grew the company purchasing an office building in Minneapolis and hiring employees to keep up with demand. Raymond built a successful business on a foundation of relationships, many of which continue to support the business today. 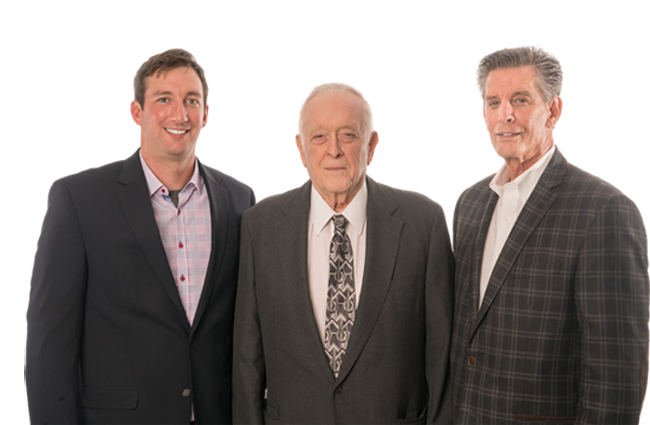 More than 55 years later, his son, Greg, and grandson, Jeff, are second- and third-generation owners of the company, which is now known as Demarc Land Surveying and Engineering. Although it was never an expectation, both Greg and Jeff were exposed to the industry at a young age and decided to follow in their fathers’ footsteps. Through the combined efforts, talents, and contributions of father, son, and grandson, what started as a small business has developed into a successful third-generation, family-owned land surveying and engineering company. While the business has grown, offering new areas of expertise and technology to customers, Greg and Jeff remain true to the company’s core values, which are dependability, honesty, respectfulness, relationships, and efficiency. They attribute much of their success, loyal customers and referrals to the company’s commitment to these core values. Demarc Land Surveying and Engineering is located in Minneapolis and serves clients in the Twin Cities and surrounding areas.